Oxford University libraries’ new LMS/ILS, Aleph, went live on Friday 22nd July and so far, it’s gone pretty well! One feature of the new system is that you can use keyboard shortcuts to move easily between different tabs in each module (not rocket science, but a great leap forward from our previous system). I’ve added colours to the second line which match the background colours of each tab. 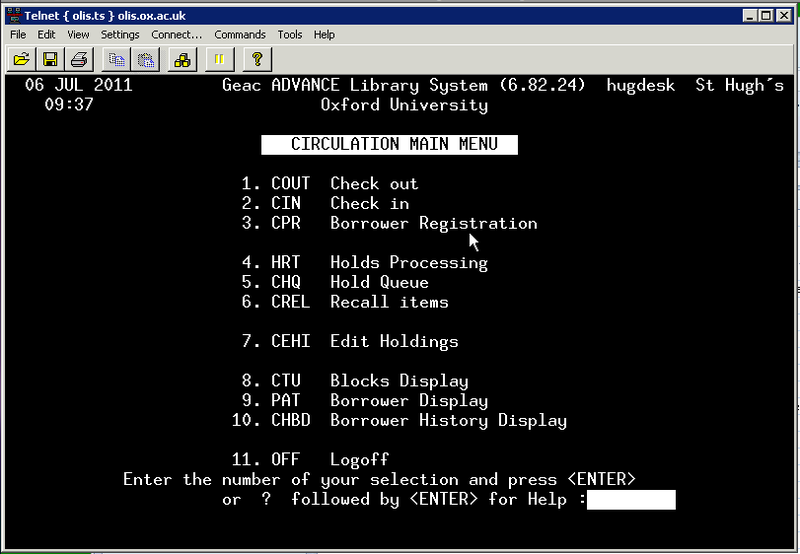 On Friday 8th July, the library management system used by most libraries at the University of Oxford will enter a 10-day downtime period, during which all the data will be migrated from the old system, Geac Advance, to the new LMS, Aleph. For more information about the impact of the downtime, please refer to this post on the switchover of the library management system. Here are some screenshots of Geac Advance, lest we forget. The main menu for Circulation. 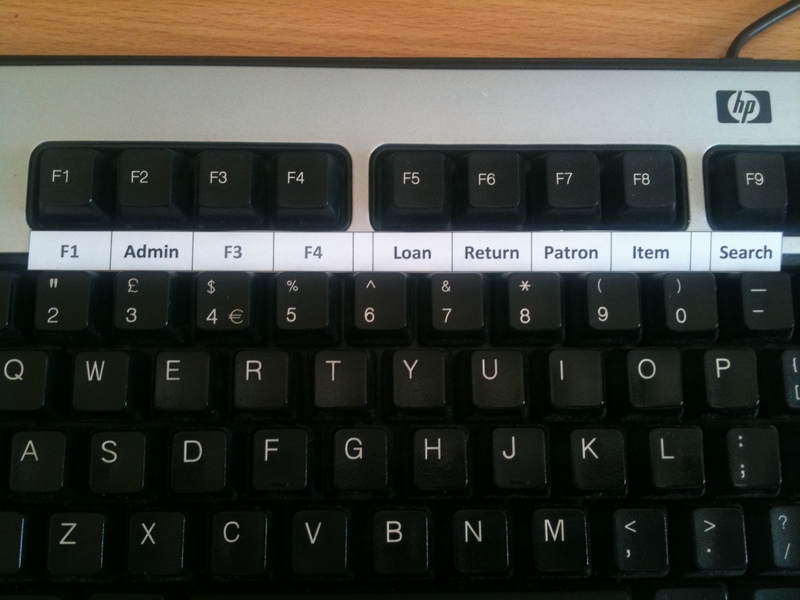 Keyboard navigation – no clicking! Mmm… magenta text on cyan background. 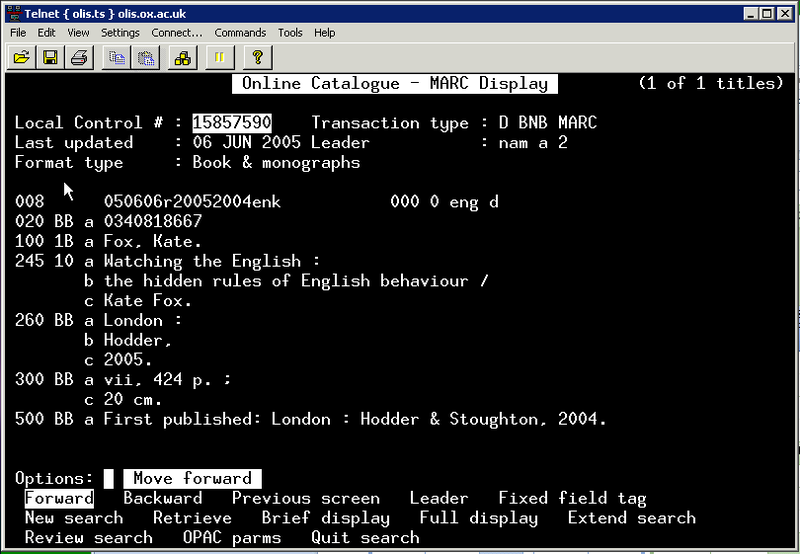 I’m looking forward to the new system – being able to click, use keyboard shortcuts to copy and paste, and being able to move between circulation and cataloguing modules in the same session. Nice! This information has been circulated internally within my organisation, but I’m posting it again here on the web in the hope that anyone searching for information about the switchover will find it helpful. 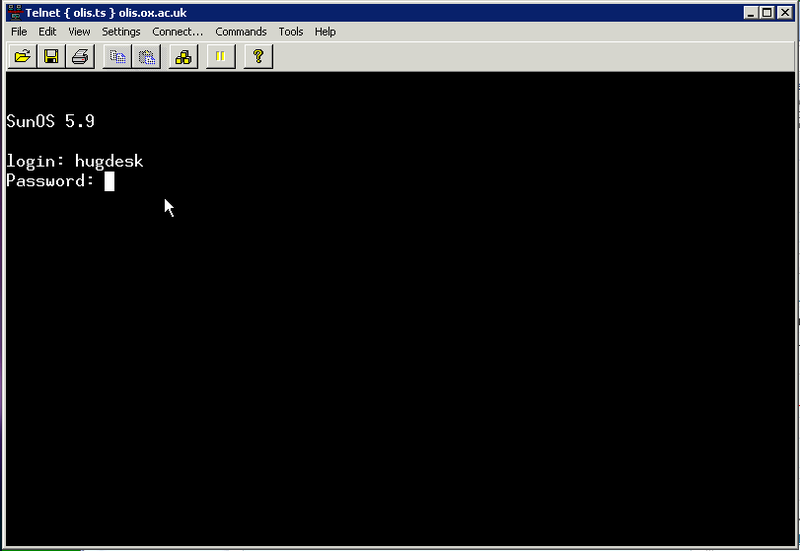 The new library management system (Aleph, replacing GEAC Advance) is scheduled to go live on Monday 18th July 2011. OLIS is the local name for this software, and the term ‘OLIS’ will still be used from July onwards to refer to the system. Associated with this changeover are two periods of reduced activity on the system, and this will affect all libraries in Oxford using OLIS, not just St Hugh’s College Library. The first period affects orders and new items. These cannot be added to OLIS during June and July, in order to allow the data to be migrated from the old system to the new. We cannot order any new items during this time, and suggestions for new books made in June or July will be considered in August. The second period of downtime will begin at 17:00 on Friday 8th July and end at 09:00 on Monday 18th July. It will involve a complete shutdown of the system. Library users are asked to avoid borrowing and returning books during this time if at all possible. Any loans and returns will be recorded manually by library staff and the new system will be updated after the go-live date of 18th July. OxLIP+ and OU eJournals will be available throughout the downtime period and so readers are encouraged to look for alternative electronic versions of texts where possible. SOLO will be available throughout the scheduled downtime period for readers and staff to consult the library location details of an item but will not show availability status (due dates etc.) SOLO will be unavailable for a short period at the end of the downtime period (details have yet to be confirmed). OLIS Patron functions will not be available during the downtime. Automatic Stack Requests (ASR) cannot be made during the downtime period and requests made after 17:00 on Thursday 7th July will not be fulfilled. Please request any material required for consultation in good time. Self-issue is not available during the downtime. Reservations will not be migrated to the new system. You may wish to keep your own record of any active reservations before Friday 8th July. 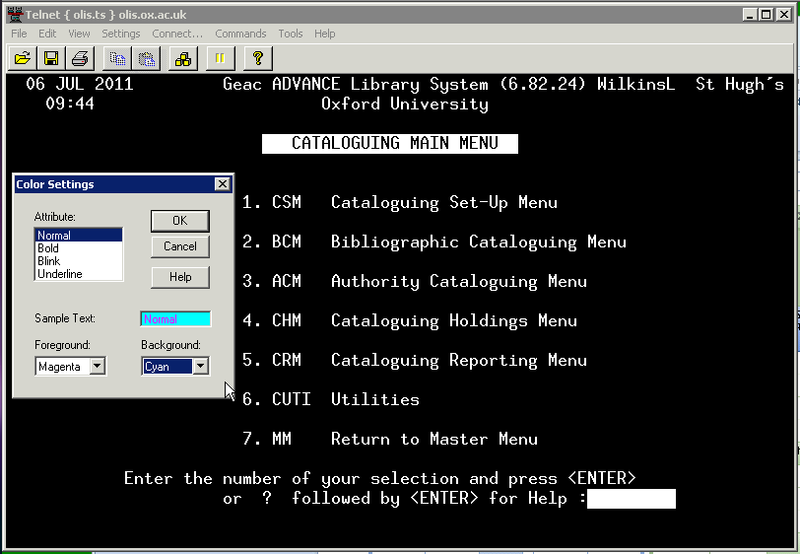 In July 2011, all the libraries at the University of Oxford which currently use Geac Advance as their integrated library system (ILS) (also known as an LMS or ‘library management system’) will be switching over to Ex Libris’ Aleph. *A resource discovery interface is more than just an OPAC – in fact, it combines information from multiple catalogues and databases so that a library user only has to search in one place. Primo has inputs from a variety of sources including Advance, ORA (Oxford University Research Archive), and the Bodleian Library Allegro Chinese and Allegro Japanese catalogues. The colossal amount of bibliographic and circulation data that is currently stored and updated in Advance will be migrated to Aleph during the downtime period in mid-July. When the new system goes live on Monday 18th July, the SOLO interface will still be the same, but instead of displaying data from Advance, it will present information from Aleph. 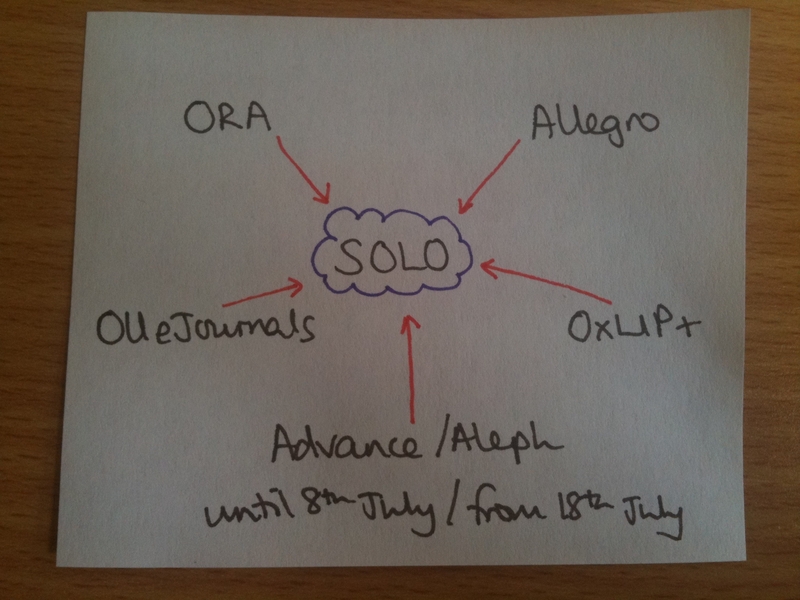 SOLO will have some additional functionality too. At present, to check the availability of a book in a particular library or place a reservation, you have to click through to Advance, but after 18th July these patron functions will be part of SOLO, so performing these actions will be quicker. Members of Oxford University will access patron functions via Single Sign-On (the same system that you use for remote access to e-resources and for Weblearn) and external visitors will use their University card barcode and password as before. To allow data to be migrated from Advance to Aleph, there will be a downtime period from 17:00 on Friday 8th July until 09:00 on Monday 18th July, when the new system will go live. The downtime period will involve a complete shutdown of the system. At my college library, I’m asking library users to avoid borrowing and returning books during this time if at all possible. Any loans and returns will be recorded manually by library staff and the new system will be updated after the go-live date of 18th July. OxLIP+ and OU eJournals will be available throughout the downtime period and so readers are be encouraged to look for alternative electronic versions of texts where possible.